Managing the function of each department efficiently and flexible payment procedure is enough for a corporation to achieve success. A prudent multinational company (MNC) management should always try to make an appropriate balance between the effectiveness and efficiency of profitability. The product and service flexibility with in short time gives the customer ultimate satisfaction, which attracts the more clients for the company. The sales will be automatically high and increase the commission and profit of the company. As a pioneer MNC in paint industry, Berger is able to do so to earn the trust of general people. Berger has the glory of being oldest MNC in paint sector owned a portion by the general people of Bangladesh and it servers the nation for last more than 60 years with largest line of diversified home, indoor, outdoor decorative services in different sectors. Raising competition from Paint and non paint competitors and continuing development of innovative ways to provide financial services are all contributing to a growing interest in evaluating Berger’s performance. Various groups of individuals are particularly interested in evaluating Berger’s performance. This project is about evaluating the Berger Paints Bangladesh Ltd’s customer satisfaction. This is an internship project where I shall be trying to evaluate the overall customer satisfaction of Berger Paints Bangladesh Ltd on the basis of their bulk and retails buyers’ satisfaction and their effective implementation of their marketing strategies to increase the market share growth. Internship program is a pre-requisite for completing the practical side, which is partial fulfillment of BBA program of Northern University, Bangladesh. Orientation of the organization: To introduce the internee with the structure, functions, and performance of the organization. The project part: Pertaining to a particular problem or a searching topic matching with internee’s capacity, interest of the organization’s requirements. The industry part consists of a brief analysis of the paint industry, the industry where the organization is operating. Since the report is a case study of Berger Paints (BD) Ltd., detail information about the organization is well furnished. Information about other key players of the industry was acquired from various secondary sources. Market share along with other facts and figures were gathered from research reports conducted by us, on behalf of Berger paints Bangladesh Ltd. The general objective of the report is to know about this organization, Berger Paints Bangladesh Ltd (BPBL) is a MNC and its form, FMCG aspects. Another objective is to make report a typical guideline for other who will work on the same topic in future and to enhance the knowledge of regards about Overall activities of BPBL and about its services to the customers. The project objective of the report is to provide a clear concept about the customer satisfaction of Berger Paints Bangladesh Ltd., analysis the response of the current customers of the company. The topic is to evaluate the effectiveness of the marketing strategies of Berger. It will help the Berger and all of its stakeholders to ensure its market share growth as well as increase its performance. This research will reflect the awareness level as well as feedback from the customers and will help to generate new ideas about future products along with product awareness program. Today practical experience is as much essential as academic education that enables someone to be successful business executive especially in the competitive business environment. In order to gather knowledge and exposure regarding the organization culture, behavior the business students has to be go internship after the successful completion of their business degree. This report is proposed my academic supervisor Khondaker Sazzadul Karim. In this regard, I would like to add that this report is completely confidential and prepared with a view to expose myself to the practical exposure and knowledge. I know that I am doing this project for academic purpose. business situation. It is the opportunity for the students to know about real life situation through this program. As a student of BBA of Northern University Bangladesh, I take my Internship under Berger Paints Bangladesh Ltd. (BPBL) at Sales office, Dhaka, and enter as an Internee for a period of 12 weeks commencing from 18 September to 17 December, 2011. And I have expired this Internship period successfully. I compared this report from my practical experience. Type of Research: I have prepared this report on the basis of descriptive research. We chose survey methods – personal interviewing – in home for this research. I have done this research to help BPBL for better understanding of market condition at Mirpur DOHS. That’s why descriptive research is appropriate for this study. In this report all necessary information to prepare are collected from both sources of data. Consist of Information that is collected from the market initially. The primary data has collected through the market survey at the Mirpur DOHS. I have taken probably 10 weeks to complete the survey. This source of data contains all the information and that are already exists somewhere. The secondary information required for the industry part and organization part was collected from the credentials, unclassified reports, website of Berger Paints Bangladesh Ltd. The main part of this report has been prepared on the basis of primary data through interview. The interview has been conducted by structured questionnaire survey. The questionnaire was predetermined by my supervisor Firoz-Al-Mamun (SO). All the questions have been designed to know the Satisfaction scenario of decorative products of Berger at Mirpur DOHS. -Direct data gather from the projects Engineer, supervisor, owner (Individual Houses) and painter. Website of Berger Paints Bangladesh Ltd. The secondary information required for the industry part and organization part was collected from the credentials and unclassified reports. No of question: 11 questions are in the questionnaire. Question type: Close ended likert scale and open ended. The data which I gathered from the primary sources and secondary sources those represented and analyzed by ‘Pie chart’. To represent this data I use some software those are MS Word and MS Excel. Sampling Unit: Each sample is “under construction building” of Mirpur DOHS. Sampling Method: To gather primary information through questionnaire, the sampling method is non-probability judgmental sampling method. Sample size: The total number of Berger products users are considered as the population of the research and out of these total users randomly picked 80 users are the sample. Internship needs long period of visits to work field’s money, patience and inspiration. But, obviously in our country, for the lack of those elements doing internship becomes difficult and as a result, our knowledge yet remains much limited within the framework of the theoretical knowledge and it needs further practice for right application to the real field of work. Management restriction of company, for management restriction of the company they may not provide all necessary data and information to the internees. Negligence of the conducted company, because the dont lie to give concentration and time. They think it as a time consuming and expensive one. Berger is one of the oldest names in paint industry tracing back to 1760. Lewis Berger, a German national, founded dye & pigment making business in England. Lewis Berger & Sons Limited grew rapidly with a strong reputation for innovation and entrepreneurship culminating in perfecting the process of making Prussian Blue, a deep blue dye, a color widely used for many European armies’ uniform. Production of dyes & pigments evolved into production of paints & coatings, which till today, remains the core business of Berger. Berger grew rapidly by establishing branches the world over and through merging with other leading paint & coating companies. Berger has been involved in paint business since 1950 in Bangladesh when paints were first imported from Berger UK and then from Berger Pakistan. Ltd purchased Government shareholding. Now, Berger Paints Bangladesh Limited is 100% owned by J& N Investment (Asia) Limited, UK. With the passage of time Berger has unfolded its kaleidoscopic wings into all kinds of paint solution be it Architectural paints or Industrial coatings, Marine paints or Powder coatings. Berger has it all. Mission of Berger Paints Bangladesh Ltd. Vision of Berger Paints Bangladesh Ltd.
We shall increase our turnover by 100% in the next five years. We shall remain socially committed ethical Company. Corporate Objectives of Berger Paints Bangladesh Ltd.
Our aim is to add value to life, to outperform the peers in term of longevity, customer service, revenue growth, earn and cash generation. We will be the employer of choice for all existing and future employees. manufacturing and marketing of liquid and non‐liquid paints & varnishes and coating. Focus of Berger Paints Bangladesh Ltd. Ensuring continuous improvement in operations through utilization of highly professionals and dedicated team, proper process management and participation of the stakeholders. Setting measurable targets at appropriate stages and continuously monitoring them. from Marine Coatings to Powder Coating and what not. We at Berger Paints Bangladesh Limited are Committed to achieving total consumer satisfaction. We commit to project ourselves as an ethical and socially responsible company. We commit to continue as the market leader through consistent sales growth, increasing productivity and developing new products befitting consumer needs. We shall ensure continual improvement in our operations through utilization of our highly professional and dedicated team, proper process management and participation of our stakeholders. We shall set measurable targets at appropriate stages and shall continuously monitor them. Division and Product Range of Berger Paints Bangladesh Ltd.
Berger Paints (BD) Ltd. offers a complete paint solution through hundreds of products. Only major products are shown here under three broader classifications on the basis of users segments. i. Robbialac Acrylic Distemper (SPD): A specially formulated acrylic co-polymer emulsion based washable distemper for elegant, smooth, durable, matt finish for interiors. ii. Radiance Interior: A medium category plastic paint. Recently BPBL launch in the market. iii. Robbialac Acrylic Plastic Emulsion (APE): A standard emulsion paint formulated with acrylic. iv. Luxury Silk: A marvel of international emulsion technology, Luxury Silk combines the best of aesthetic appeal with the best of functional properties like. i. Durocem Cement Coating: Durocem is an exceptional formulation based on selected raw materials and specially treated white cement that makes it ideal for both indoor and outdoor applications. ii. Radiance Exterior: One type of water based medium category exterior wall finish. iii. Weather Coat Smooth: Weather coat is smooth water based super exterior wall finish formulated to give exceptional durability in adverse climatic conditions. iv. Tartaruga Textured Coating: This is one of the most famous Berger formulations in the world. The product is paste like having special aggregate to facilitate drawing desired textured patterns on the surface. v. Weather Coat long life: The highest quality water based exterior wall finish with 7 years warranty. i. Illusion: Berger illusions is not just a paint… it’s a whole new lifestyle for your walls. A range of designer wear for walls with thousands of color options. ii. Robbialac Super Gloss Synthetic Enamel (RSE): Robbialac Super Gloss Synthetic Enamel is hardworking, premium quality synthetic enamel formulated to retain its gloss and film integrity in the face of extreme climatic variations. iii. Enamel (Jhilik Synthetic JSE): Jhilik Synthetic Enamel is economy synthetic enamel formulated for interior and exterior application to give a glossy durable surface. iv. Robbialac Aluminium Paint: Robbialac Aluminum Paint is a superior 2- pack aluminum paint with a brilliant silver-like luster. It is ideal for application on the exteriors of storage tanks for water, petrol, oil. v. Robbialac Damp Stop: This specially formulated two-pack compound is based on selected binder system incorporated with inert pigments’ and fillers, which seals the surface by eliminating the permeability of moisture and water that actually cause dampness. vi. Flexible Roofing Compound: This high-tech roofing compound is a highly flexible waterproof coating based on a special grade polymer. vii. Silicone Water Repellent: This unique product based on special type of Silicone compound is designed for water repellency of all masonry works and it keeps water on the run. viii. Robbialac Plastron Primer Sealer: This is an excellent primer, specially for plastered walls which seals and stops penetration of moisture from inside the wall and thus keeps the topcoat finish unharmed. ix. Robbialac Anticorrosive Red Oxide Primer: Robbialac Red Oxide Primer provides an excellent, quick-drying protective coating on various types of ferrous metal surfaces. Activities of all eight strategic depots are monitored and controlled by the Sales (D) Office situated in Corporate Office. Time to time sales review meeting with the representatives of all sales depots is conducted to evaluate the current sales position of the Co., discuss the reasons for current success or failure, determine the next action plans to strengthen current position of the Co., kinds of incentives offered to boost up sales and etc. To prepare National Sales Budget detailing sales value, volume & growth and translates it into monthly and half-yearly budget. To express the national sales budget in terms of Sales Area, Zone, Product & Color Shade. To develop sales strategies to achieve sales budget. To respond to complains of customers efficiently and take necessary action(s) for arriving a favorable solution to the problem. To maintain relationship with existing dealers of the Co. and develop new dealers. To suggest marketing department to introduce incentive programs to enhance sales volume. To scan current market condition including competitors’ current and probable future action pattern, customers’ preference, dealers’ business situation and etc. To monitor sales position of the Co. and initiate necessary actions if any deviation exists. To arrange sales review meeting timely basis. To ensure smooth distribution of paints. To train the sales personnel to handle customers efficiently. Being an Intern I Worked at Berger Paints BD Ltd. As a Sales Support Officer.I really enjoyed the job during my internship program.I had to conduct market survey,field visit and dealing with the dealers of Berger Paints. That’s why I got a clear cut picture of Marketing Strategy that Berger follows. I had to maintain a regular communication with the dealer; whether the dealers are satisfied with the existing product or service that Berger offers them. If they raised any complain, I would report to my Boss, Mr. Firoz-Al-Mamun; SO,Dhaka Sales Office. Moreover I would visit Buildings that are under construction and asked those land lords that which paints they are going to use for their wall. If they would select Berger, I did aware them about various service of Berger and inspired them to stay with the most renowned paint Brand “Berger”. If I got any who are interested to use other brands instead of Berger, I did try my level best to build a space in the mind of that person so that Berger could occupy a position in that space. I would inform them about the details service, products, and facilities for using Berger. I would always try to represent the Berger as a superior brand in front of them. This was the core activity that I used to undergo when I was in internship program. I used my dynamism and personal selling techniques to increase the sales when I was there. I always took care of selling the products of the company with the direct supervision of the company personnel. I used to do communicated the dealers on a regular basis. I was in a constant communication with the dealers so as to keep them updated with the company information. I used to visit the sites. I used to visit the building especially that are under construction and have a feasibility as valued customers. By doing this, I tried my level best as an intern to expand my market ever. Inspect the sales with a vision to optimizing sales at different sales stores. I visited the sales stores, checked different papers, listened to demands of the shopkeepers, and sometimes listened to some complaints of the sellers. This was the most important job that I did and still I am doing. In the course of the above mentioned activities, I came across a lot people and just on getting a chance, I spoke high about the company and its products. I used to do on a continuous basis in order to promote the brand to all. Even when I go home at village, I talked to the people there to make them known about the products of the company. I am still and will always be in the appreciation of the products and brand image of the company. In the Bangladesh paint industry, high competition has created opportunities for new entrants. Together with high demand from consumers, Bangladesh is seemingly a great prospect for new entrants. Because of the heavy investment in this industry many organizations are not interested to enter in this market. They cannot bear this huge investment or the great risk of creating a huge distribution channel. Potential direct entrants (entrants focusing on directly coming into the country) to the paint industry in Bangladesh is relatively not that much restricted at the moment. But because of the heavy investment need of this industry only few multinational companies are only entering in this industry. Local companies do not have that much capital or not interested to invest this huge amount. A multinational giant Asian Paints have already entered in to the market. However, recently some multinational companies are finding other ways to penetrate the industry. A UAE- Bangladesh joint venture, RAK paint is introducing there products in the market and have grabbed everybody’s attention. Availability of greater substitutes creates additional competition forcing industry members to drop prices. In case of Bangladesh paint industry, there is not that much of substitute products of paints. So the paint brands do not really thinks about the substitute products. They emphasize more between their own competitions. The bargaining power of suppliers in the industry is strong in some cases. Because Berger has to collect their raw materials from foreign countries and there are only few of those suppliers and Berger has to depend of on them. In our country the customers have absolute bargaining power. Because there are a number of paint brand in the market, the cost for switching loyalty is very low. Customers may want to switch from one brand to another for a better deal. Nothing can restrict this trend. In fact what we see is that every customer nowadays has a tendency to try the different brands. This trend is especially very dominant among the retail buyers. Also bulk buyers switch company because there are different international brands in our country now. This shows how powerful consumers are in this industry as trend-setters and this applies to every aspect of the business ranging from the designing of the products to pricing them. From the above consequences of Porter five forces, I have identified that the paint industry has high degree of rivalry within the industry, moderately low threat of new entrants and very low threat of substitute products, moderate bargaining power of suppliers, and high bargaining power of buyers. So this situation leads to consider paint industry’s attractiveness is moderately high for the existing players. The Portfolio Matrix is a tool for allocating resources. The portfolio Matrix was developed by Boston Consulting Group (BCG), so that it is also called BCG Matrix. Businesses in the question mark are with a high growth rate & weak market share. It usually requires cash investment. In stars, businesses are in the high growth rate & strong market share. It use large amounts of cash and are leaders in the business so they should also generate large amounts of cash. In the cash cow, businesses have low growth rate and strong market share. They are usually established in the market, such as: multinational company. In the dogs, the businesses have low growth rate and weak market share. This type of business are usually non profitable & generally should be close that business. In the BCG Matrix, Berger Paints Bangladesh Limited stand on the Stars. Because they have high business growth rate and strong market share. Their business growth rate is gradually increasing compare to other leading paint industry in Bangladesh. For example: Asian Paint. The acronym PEST (or sometimes rearranged as “STEP”) is used to describe a framework for the analysis of these macro-environmental factors. Political factors include government regulations and legal issues and define both formal and informal rules under which the firm must operate. These include tax policy, employment laws, environmental regulations, trade restrictions and tariffs, and political stability. Political environment in Bangladesh is always unstable. Frequent changes of government and policymakers’ reluctance or incapability to implement or design progress oriented policies is a major drawback for the paint industry, an industry that is constantly changing in terms of technology. Economic factors affect the purchasing power of potential customers and the firm’s cost of capital. These include economic growth, interest rates, exchange rates, and inflation rate. In context of customers’ buying power, in many ways Bangladesh is a poor country. With a low GDP per capita and a majority of the population under poverty level, too much of the population, a moderately priced gallon of paint is a luxury for them. Social factors include the demographic and cultural aspects of the external macro-environment. These factors affect customer needs and the size of potential markets. Social factors include health consciousness, population growth rate, age distribution, career attitudes, and emphasis on safety. The paint industry has definitely made an impact on the job market of the country, different local and multinational paint brands taking in thousands of employees and creating new career opportunities every day. Technological factors can lower barriers to entry, reduce minimum efficient production levels, and influence outsourcing decisions. Technological factors include R&D activity, automation, technology incentives, and rate of technological change. Sadly Bangladesh does not have an infrastructure that allows for research and development of large scale. However, recent drives to automate day to day activities have been taken by a majority of paint brand companies. Berger is very eco friendly at its offices. All of the air-conditioning systems are run over 22 degrees centigrade to do the maximum usage of electricity. Also air-conditioning systems are kept off while lunch and other breaks. They use SAP system to minimize the usage of paper and manual system. From the PEST analysis, we can see that the macro-economic environment in terms of Political, Economical and Technological factors can be complex and hard to break through. In terms of Social factors, the market is still thriving for more. Customers are still willing to try something new and, customers are always ready for a new brand, hoping that price will fall even more. The marketing mix of the industry can be broken down into the “4 Ps” of marketing. These are the parameters that the marketing manager can control, subject o the internal and external constraints of the marketing environment in order to make decisions focusing on the customers in the target market in order to create perceived value and generate positive response. Berger is committed to offering quality products that satisfy consumers’ ultimate desires from paints with the help of state-of –art technology. Berger always believes in one step ahead in offering new product to create more value for customers’ money. Berger outsmarts other competitors of the market through its “one step ahead” policy and innovative market offers. Berger is trying to fill up all holes of the market through offering a wide range of products to meet the needs (Premium to Economy Paints) of different types of users and to solve the different types of functional requirements (Industrial, Decorative & Marine). Berger Bangladesh offers approximately 600 SKU including variations within basic product groups. Generally Berger follows cost based pricing method. After calculation of the total manufacturing cost (Direct & Indirect RM cost, Direct & Indirect Labor cost and Manufacturing overhead cost) and adds 20% GP to get the price point of the product. But this is not the rule of thumb in pricing the Berger products. Competitor based pricing policy is also followed as well because of the increased competition in the paint market. The prices of the paints differ from paint to paint. There are hundreds of types of paints among Berger’s product line. Those paint starts pricing from 800 taka to 4500 taka. Also there are some other products like power bond adhesive. And another significant division of Berger paints is its Berger Home Décor. The paint price is calculated by per square feet in this Home Décor section. Per SQF starts from 42 taka to 85 taka and further more. Electronic media: Paints of Berger are promoted in the market through electronic media mainly in BTV and Cable Channels. Through these ads not only the overall Berger products are offered but also the individual brands are promoted. Through radio Berger is trying to reach those potential targets that are not easily reachable by the BTV or Satellite. Print Media: During daytime mostly in the office market potentials have little opportunity to go through the electronic media. Rather, they are used to go through the newspapers, magazines and other periodical publications. So Berger has taken the initiatives to attract people’s attention through print media to some extent. Moreover, brochures, shade cards and other paint related information in printed form are delivered to the dealers, potential customers, painters and other targeted potentials to make them interested /more interested toward Berger products. Billboard: Berger efforts also move to grasp the potentials’ attention and to increase the frequency of exposure toward Berger products while they are on the way to their destinations. Berger offers different types of incentives for consumers and traders of the paint market. Trade promotion occurs more frequently than consumer promotion because, success in this market highly depends on the traders involved channeling the paints from producers to consumers. Traders are highly influential in the market because of long purchase cycle time (app. 3 years) of paints, technical aspects of the paints & etc. Shop boys are also included within the discussion of traders. Moreover, painters, end user of paint, play important roles in purchase decision of the paint. So, Berger offers incentive to create a favorable attitude towards the paints of Berger. Most of the paint brands have established their distribution facilities almost everywhere in Bangladesh. They might not have their own sales depot in all the divisions of the country but they maintain a very good distribution channel among them Berger has the best distribution channel. They have sales depots in almost all major cities of the country. They also maintain a very fast distribution channel through their sales officers. Also they have customer respond center where they respond customers complains and queries. Also the dealers have dedicated calling numbers to resolve any issues immediately. Berger follows the direct distribution policy to make the paints available in the market. Berger distributes paints through its own sales force. Distribution activities of Berger in all over Bangladesh are covered by 7 (Seven) strategic depots. *One level, mainly, and *two level-channel, to some cases, are used by the Berger Paints for Decorative products. Zero level channels, personal selling, is also used for grasping the project offers. In one level channel, Berger’s sales force delivers paints to the dealers from where ultimate users purchase paints. In the two-level channel, some major dealers dominate the paint market in the region where they are located. Small dealers collect paints from the large-scale dealers. Ultimate users buy paints from these small dealers. Corporate image as pioneer in paint industry and one of the leading paint companies of the world: Berger is a very famous brand in the paint industry. It is operating its business for over 300 years. Though this fact is not known widely by the customers, they do know that Berger is one of the oldest and leading companies of the paint industry. This knowledge works as advertisement itself. The image of being the pioneer of the industry makes the brand to be accepted by the consumers without much hesitation. So this image is definitely one of Berger’s key strengths. Wide distribution network: The rural infrastructure of Bangladesh is very poor in terms of communication. Be it roads or rivers the means of communication is very inadequate and insufficient. For a product oriented company the key to survive is its distribution network and ability to reach maximum number of customers. So Berger has created a wide distribution network with 7 sales offices and over 1000 dealers. A research shows that Berger reaches 63.2% population of the country with its wide distribution network. As a result distribution infrastructure of Berger could be identified as strength. Rich experience on Bangladesh Paint Market: Berger has been operating its business in the Bangladesh since before the birth of the country. Berger is one of the oldest players of the industry in the country. The company has experience in terms of every factor: raw material acquisition, political volatility, public perspective, dealer management everything. This experience allows the company to forecast a problem before it may occur and/or to mitigate a problem. This definitely marks it as strength. Presence in all major segments of the market: Berger has strong presence in every segment of the market. Both paint category wise and customer wise. Paint category means Decorative, Industrial and marine. Berger has all type of paint, undercoat, and thinners for each of the three paint wise segments to fulfill every possible customer need. On the other hand customer wise means purchasing power of the customer. For instance, in decorative segment Berger has Distemper, Plastic emulsion, Luxury Emulsion, Easy Clean etc. all of which are topcoat finish paints for walls. But from Plastic Emulsion to Easy clean each brand costs higher than the previous brand respectively. Each brand is for buyers with different purchasing power. But as perceived, even the lowest priced products of Berger are premium priced. So consuming Berger product requires a minimum purchasing power as a result Berger has something for everyone who has the demand of consuming the best quality product. This ability to serve all customer segments is strength. Strong financial base: As mentioned earlier, Berger is one of the oldest players of the industry worldwide who has the image of being the pioneer. This 300 years of successful business has given Berger a strong and solid financial base thus provides the company with privilege of taking more risks and flexibility in the financial decisions. Insignificant presence in the international satellite channels: Berger is the leader of the paint industry as it has already been mentioned. Berger has almost 65% market share of the total industry. This large market share and too few eligible competitors in the market have made the company too confident about its market position and it reflects in their reluctant presence in the international satellite channels. But this is basically a weakness of the company that they are over confident. Perceived as premium priced company at semi-urban and rural market: Berger has always been perceived as a premium priced brand worldwide. In a third world country like Bangladesh doing business with a premium priced product and still holding the market leading position is a real challenge. In urban area, the customer understands and can judge the relationship between premium price and premium quality. But in the semi urban and rural area only thing the customer understands is price. Because of lack of knowledge and lower income the semi urban and rural people avoids the brand. If the reason behind the premium price could be conveyed to them with proper understanding a large market share could be acquired. Higher dependence on large dealers: Berger’s distribution largely depends on its dealers. The same dealer can hold dealership of two or more brands. As paint is a product which is not talked about much the consumers’ knowledge and consumption depends on the dealers’ promotion to some extent. The dealers can and does promote the brand which is more profitable for him to sell at that time. This dependency on the dealers is a great weakness. Growing market: Paint industry in Bangladesh is a growing market. Because of the industrialization and the raise of the real estate business the industry is growing and growing. On the other hand paint has a limited life time after which it needs to be repainted. For example, in decorative interior paints it is considered that the paint would need to be changed after three years. This limited life time of the paint is constantly retaining customers. So the market is growing continuously. This is a great opportunity to expand the business by grabbing larger market share. Utilization of positive corporate image for corporate diversification: Corporate image of Berger is undisputed in the country. 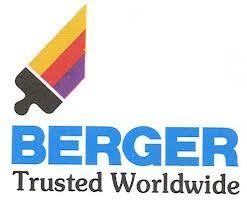 It’s easy to diversify a business with a corporate image like Berger’s. The company can exploit its corporate image to start some new business. As Berger already has Home Décor service, they can take the wing to a different and higher level. Instead of providing paint solution and esthetic consultancy they can start a whole package of interior decoration service. From planning, design to supply of Berger approved interior decoration materials. As interior decoration is in a boom the country Berger would be able to hold a solid position because of its corporate image and brand name. To popularize economy products at remote market: Berger products are conceived as premium priced. It has been discussed previously that this perception of the semi-urban and rural customers are causing Berger to lose a large market share. If the message could be delivered to those customers that Berger products are premium priced only because of its product quality and it is actually cheap if the quality and price is compared a large segment could be captured. If it could not be done Berger can try to introduce economy products for the rural and semi urban community. This is another great opportunity for the company to expand its market share. Fierce competition in the Bangladesh market: In the opportunity part it has already been stated that the paint market in country is growing rapidly. With the market growth the competition is getting fierce. New multinational companies are investing in the industry and offering their product at a very competitive price which is making Berger’s business a little difficult. Because the new companies lack experience they haven’t become a great threat for the company but once they gather enough experience they’ll become alarming threat for Berger. Credit-driven market: Paint market is largely a credit driven market. Berger opposes the idea of running its business on credit. Most of Berger’s dealers are cash dealers. On the other hand dealers want to have the product on credit as much as they can. Now the new companies are using this opportunity and offering large quantity products on credit to the dealers. As a result the dealers are promoting the brand which they can get on credit. Because the new brands are not very popular yet it’s not a great threat. But it is a potential threat for the company. Unethical and corrupt practices by the local companies: There are some local companies are making slight change in the name Berger e.g. Bager, Bager with the identical writing style and logo of Berger and marketing their very low standard product. This practice is done in the semi urban and rural areas where literacy level is low. This unethical practice is putting Berger’s brand name in great threat. This is a huge threat for the company as it can destroy the brand image to a large segment of customers. Social Commitment of Berger Paints Bangladesh Ltd.
Berger took the initiative of recognizing and awarding the works of talented architects of the country and this competition took place after every 2 years. The competition comprises of 2 categories. Apart from awarding Young Architects for their works, the other main category recognizes and awards distinguished architects of the nation. Both categories have 2 sub-categories Residential and Non-residential. Berger Paints Bangladesh Limited provided scholarship to the students of the architecture discipline of Khulna University. Besides Berger also sponsored the KUAD-BERGER Resource Corner where all the latest learning materials and resources of Architecture were added. Berger Young Painters’ Art Competition is just another vibrant example which is organized to bring out the hidden talents in young painters. Berger hopes that this recognition will inspire young talents to work harder and bring pride and glory for the nation. From last 15 years Berger is arranging this competition. Berger Young Painters’ Art Competition received tremendous response from painters all around the country. The whole data analysis is done based on the normal distribution which is the basic criteria of data analysis and interpretation. To represent this data I used some software those are MS Word and MS Excel. Interpretation: From my survey I found that most of the sample under the company (79%) and only (21%) under the Individual ownership. So the ratio of Company is much higher than the Individual. Interpretation: On the basis of 365 samples that are the Company projects, I found that 22% of its Complete, 24% of its Running and 54% are incomplete projects. Interpretation: On the basis of 95 samples that are the individual projects, I have found that 39% of its Complete, 20% of its Running and 41% are incomplete projects. Interpretation: At present there are mainly five main paint brands in our country. I wanted to know about the preferences of the consumers regarding paint brands. After doing the survey, I have found that Berger is the most popular, 52% respondents selected Berger as their paint brand. Rest of the paint brands like, Aqua 5%, Asian 17%, Elite 13% and Others brand 13% was chose by respondents each. Interpretation: There are mainly five main Interior surface brands in our country presently. I wanted to know about the preferences of the consumers regarding Interior surface brands. After doing the survey, I have found that Plastic is the most popular, 50% respondents selected Plastic as their Interior surface brand. Rest of the Interior surface brands like, Distemper 37%, Silk Emulsion 3%, Easy Clean 6% and RIN 4% was chose by respondents each. Interpretation: There are mainly five main Exterior surface brands in our country presently. I wanted to know about the preferences of the consumers regarding Exterior surface brands. After doing the survey I have found that W/Coat is the most popular, 81% respondents selected W/Coat as their Exterior surface brand. Rest of the Exterior surface brands like, Durocem 15% and REX 4% was chose by respondents each. Interpretation: Most of the respondents about 75% Satisfied of the Berger Product And 25% Dissatisfied of the Berger Product. The satisfactory level of the respondents were very good regarding the Berger product. Interpretation: Among 60 respondents 45 respondents (75%) they are satisfied with the quality of the Berger products. Rest of the Service 8%, Pricing 2%, Discount 7% and Others 8% Satisfied of the Berger Product. This implies that respondents are pretty much satisfied with the quality of the Berger products. Interpretation: Price is crucial for any product. And in this point Berger was Weaknesses to dissatisfied its customers. 20 respondents (60%) they are dissatisfied about the prices. Rest of the Service 5%, Quality 10%, Brand Image 5% and Others 20% dissatisfied of the Berger Product.The overall dissatisfied level was Weaknesses the price among the consumers. Interpretation: Berger gets a lot of positive review while the respondents were asked whether they would use Berger products in future. 80 respondents (56%) definitely will use Berger product. Rest of the 44% said they may/may not use Berger products. Getting a total of 56% assurance from the respondents is a very good sign regarding customer satisfaction. Interpretation: The Source of Company is 33% and the Source of Dealer is 67%. So I can say that most of the buyers buy Berger paints from the Dealer. As a marketing researcher, I have given my best to find out the best possible way to generate information about “Customer Satisfaction of Berger Paints Bangladesh Ltd.”. However, I know that customer satisfaction is rapidly changing factor and can never be bound in a certain boundary. Also it needs continues development. For business people if they adapt new strategies to ensure their customer satisfaction they will able to satisfy more customers. From this project, managing a continuous relationship with the customer and getting their feedback is one of the key elements of building a satisfied customer base. Now a days, there are many local and international renowned paint brands in our country. Berger should be very careful and innovative retaining their old customer base as well attract new one. Customers should be well communicated with the organization. Our expected outcome of this research is to make the company’s loyal customer base more satisfied and attract new ones. Field force should be more aggressive during the sales promotion of the Berger Products. Field force should be trained up for different product line. Make contract with the small real state as a corporate customer in local area. Price margin should be flattened for the new market. Promo material to the carpenters so that the also become motivated. Carpenters are also a target customer for the retail market. This is because the take decisions in many cases to choice paint company. Increase more promotional activities to maintain existing as well new customers. Increase more customer support as introduce customer service center. Create customer segment and their need/requirements. Every year new Paints Company is entering in the market e.g. RAK Paints. So that to tackle the new competitor, Berger should change the market orientation time to time. Communication channel should be spread nationwide. As well as regionally. Increase more R&D activities and voice it to the target audience. Distribution system should be online. National, Divisional, zonal depots should be under same system. Be more careful during the disbursement of the promotional gifts and make sure the customers get those in time without any hassle.